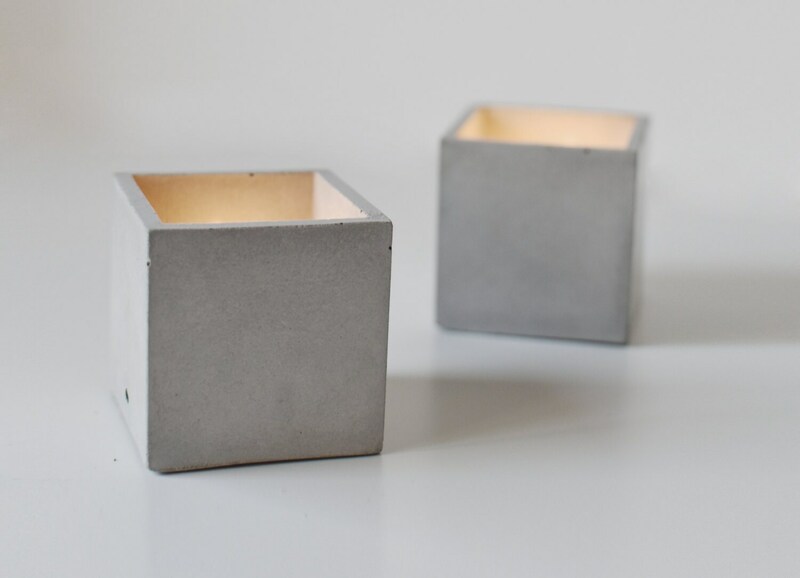 Drawing inspiration from the lines of our CUBUS table lamp, this set of 3 modern concrete cubes fits well into any space of your home, office, restaurant or shop. 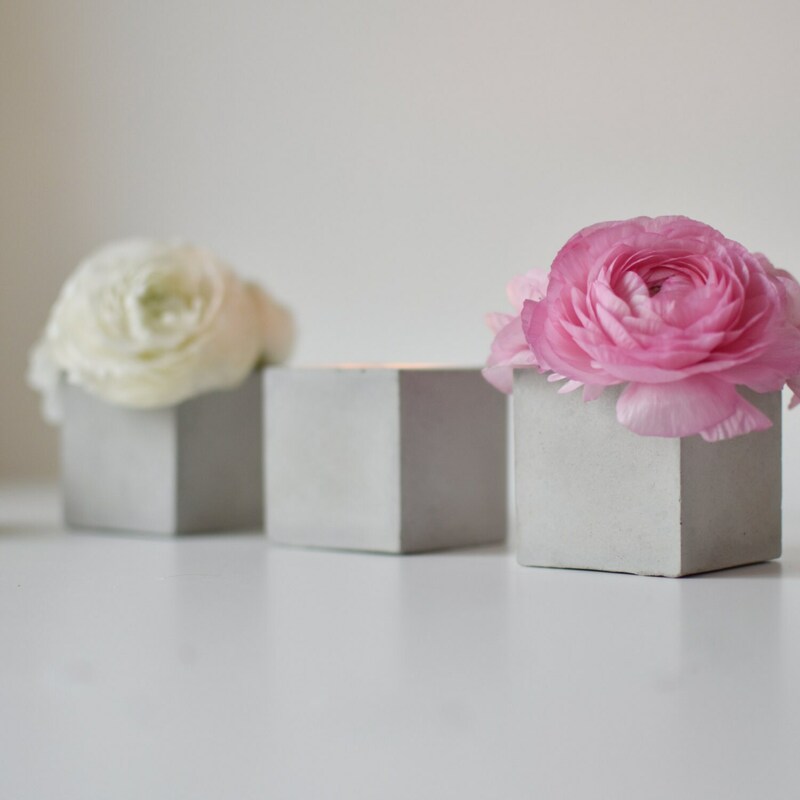 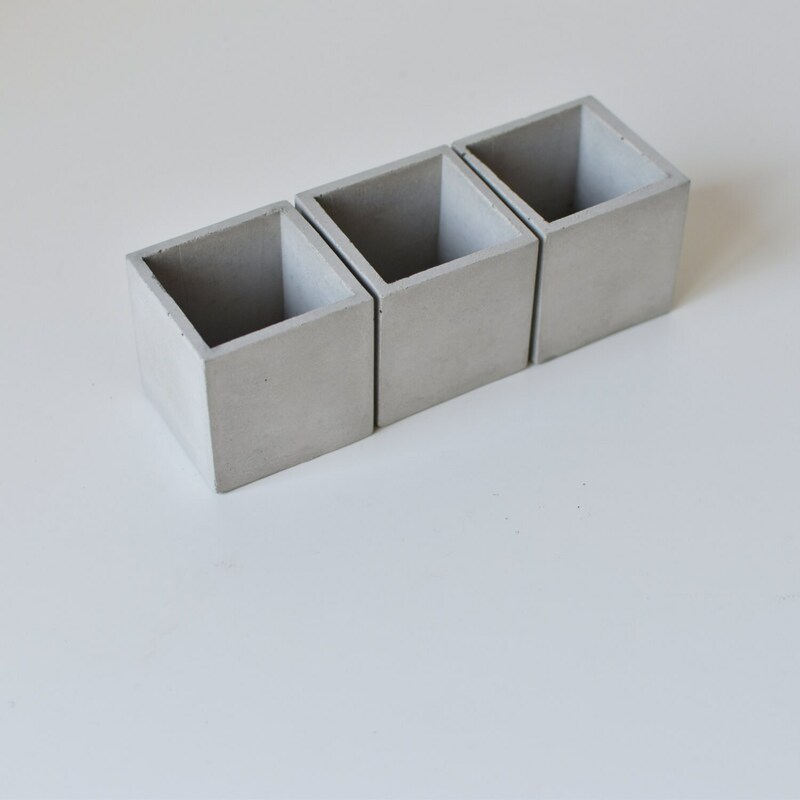 These 3 small cubes, can be used as vases for your mini succulents, as small containers for fresh flowers to adorn your table and/or as teacandle holders. 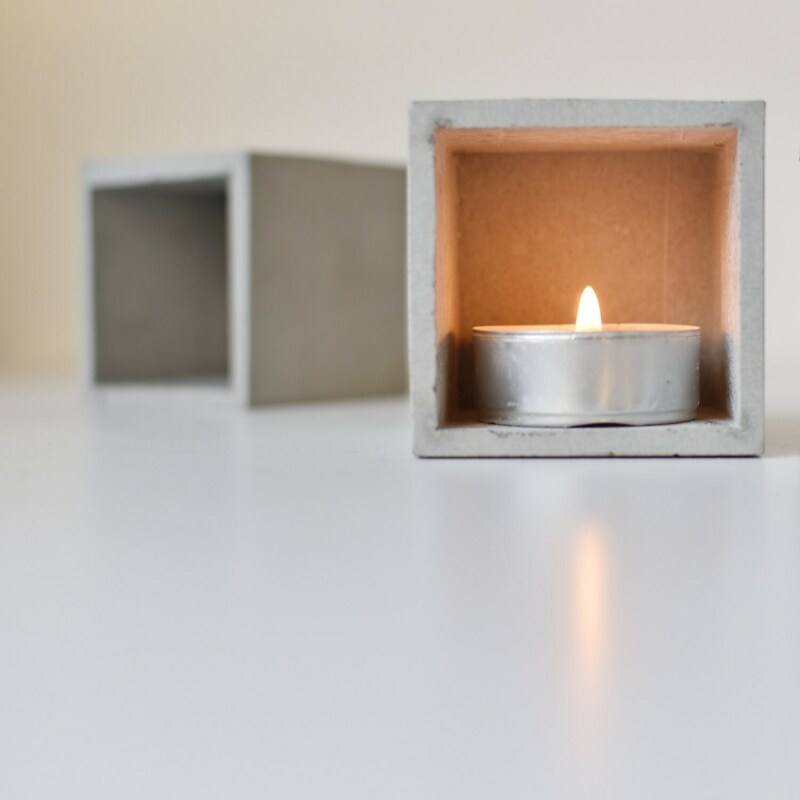 On a side note, thanks to our NEW concrete formula, we managed to create an object with walls of a thickness of half a centimeter, making it incredibly light and definitely minimal. 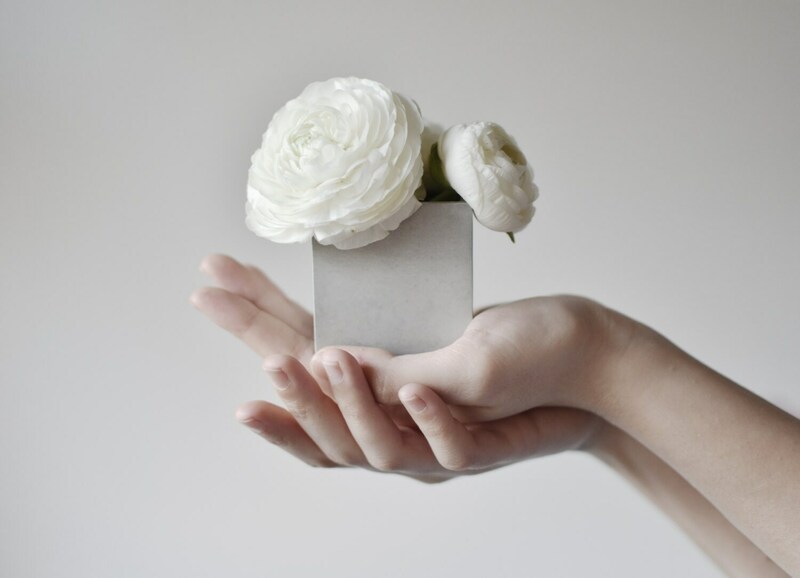 Every piece is unique and handmade with love.